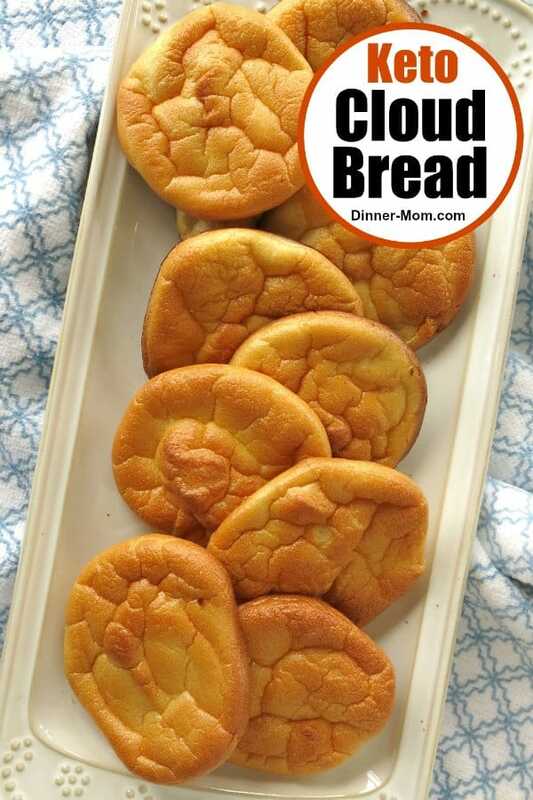 Our Low-Carb Cloud Bread seems too good to be true! But it’s not. We made some adjustments to the Tasty recipe phenomenon that made it DELICIOUS! Yep. We’re screaming over this one! 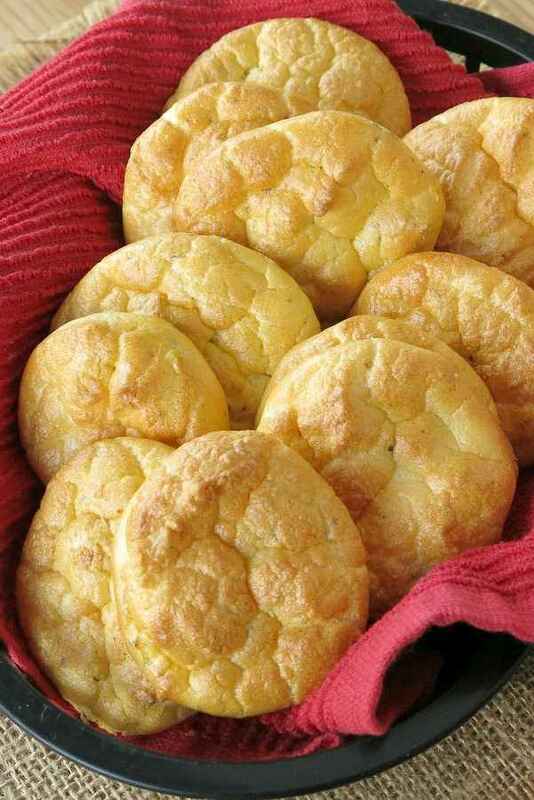 You’ll be on Cloud Nine over this Low-Carb Cloud Bread recipe, especially if you’re looking for low-carb, keto-friendly, gluten-free alternatives to bread. And, we are no stranger to the challenge of cutting carbs and still enjoying our favorite dishes. Spaghetti squash pizza crust, cauliflower pizza bites and zucchini noodle crusted pizza replace traditional flour dough crusts most of the time. We’ve even made cauliflower muffins! What sets this “bread” apart from the other fake-outs is the look, texture and the fact that they are high in protein. 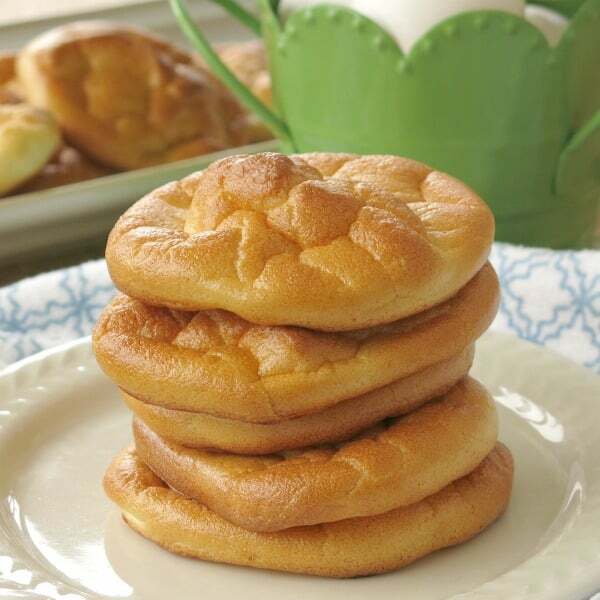 Cloud bread is light and airy, yet firm enough to be a sandwich bun, pastry, toast or pizza. It just looks like a round of bread. 🙂 It can even be adjusted to make a sweet treat like Blueberry Cloud Bread Danishes! What does cloud bread taste like? Cloud bread tastes like extremely fluffy eggs. It does not taste like bread at all. The flavor profile makes sense since the main ingredient is eggs. They are stiffened and typically combined with cream cheese, cottage cheese or Greek yogurt. We loved the concept, but really ached for something a little more flavorful than the 3 ingredient recipe we tried from Tasty. Our mission became making the very best cloud bread…a savory version that was tastiest enough to be eaten all alone or the perfect stand-in for a bun or pizza base. Here’s a preview of the process. Separate 3 eggs. Beat the egg whites with cream of tartar until they are stiff. Combine the egg yolks with ricotta cheese, salt and fresh garlic (or garlic powder.) Gently fold the egg whites into the yolk mixture. Make rounds of batter on parchment lined baking sheet using about 1/4 cup of batter for each. Bake in a 300 degree F oven for 30 minutes. Ricotta cheese is one of many fillings that can be used. Cottage cheese and cream cheese are also options. We like ricotta cheese because it’s smooth and doesn’t require any processing first. It gives the rounds a nice flavor. Fresh garlic or garlic powder gives the bread a savory boost. We love using fresh. Start with 2 garlic cloves…and go up from there depending upon your taste. It’s important to work quickly once the egg whites are nice and stiff, which is why we prepare the yolk mixture first. Don’t double the recipe unless you have 2 ovens! The batter won’t wait and should be used right away. Please rate this recipe below and tag @DinnerMom on social media. We love to see what you are cooking up! 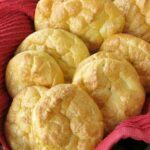 Low-Carb Cloud Bread that's DELICIOUS! 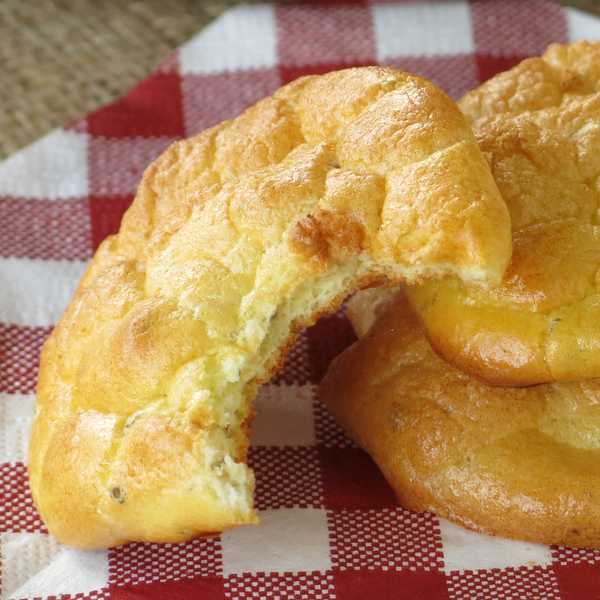 The very best cloud bread recipe uses ricotta and garlic. You won't believe how delicious it is! I love this version of Cloud Bread! Fresh garlic mixed with creamy ricotto sounds amazing! 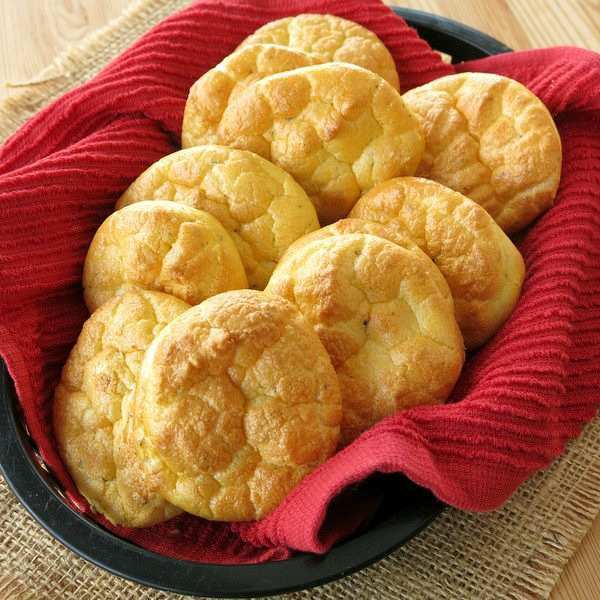 Should cloud bread be stored in the refrigerator? Yes! Store in the refrigerator. The listing says “loa carb”…… How many carbs per serving? Hi! There are no carbs (or very negligible amount) per one round of bread! How can you call it low carb and not tell us what the carbs or net carb count is? I made these several days ago and they were so delicious that I made them again today. This time, instead of making 12, I used my muffin top pan and scooped 1/2 cup of batter per round which yields six. I like to use them for sandwiches and hamburger patties so the larger size will work better for me. I’d love to share a photo of them but I don’t see that option here. Thanks sooo much for your feedback! Love the muffin top pan idea! You can always add a picture on pinterest or tag #DinnerMom on Instagram for reshare! Wow! So tasty! Mine were really like biting into a cloud…or at least what I would imagine it’s like. Absolutely delicious. I see that Ronalyn uses them for a buns. Mine broke apart too easily for that. Did I whip the egg whites too long? I am new to low carb and cannot tell you how happy I am to have this recipe. Thanks! Hi! I’m glad you liked the recipe! It is possible to over whip the egg! Just tried this recipe out and it didn’t work out. I followed the instructions to the teeth but the mixture melted on the pan in the oven, the bread came out flate and dry. Any idea what could have gone wrong? I wanna try again because even though the consistency and look weno wrong, they tasted good and didn’t bother my stomach. Thank you! Hi! It may take a little trial and error to perfect the process with your stove, etc. My rounds spread thin when the mixture was not firm enough, usually from beating the eggs too much. Also, once you spoon the batter onto the baking sheet, be sure it goes straight into the oven or it tends to spread and thin and will cook differently. Finally, consider the size of the eggs you are using…I wonder if a smaller sized egg would work? A few thoughts…I hope it works out next time!!! Hi, what could be added for some fiber? Chia seeds maybe? or something else? What would you think and what measurements would you recommend? Hi! Since this is really a no-carb recipe, I haven’t really tried any variations to add fiber. Perhaps adding flax seed or chia seeds would help. I would start with a very small amount so the fluffed up egg mixture doesn’t deflate. I made an attempt at making these. Very runny, so I poured it all on the baking sheet and cut in squares. They taste really good. I plan to make poached eggs and a hollindaise sauce, to top my clouds. 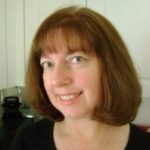 I love the way you adapted the process…actually sounds easier with an amazing topping! How do you store these? I want to make hot dog bun shaped bread to bring camping but was worried these would need refrigeration. Thanks! Hi! They should be stored in the refrigerator or the freezer! Hi! The eggs do not need to be at room temperature and neither does the ricotta cheese. This recipe does not use cream cheese, but if you use bring it to room temperature first. Just curious what the carb value is for this recipe? it states “low carb” but no value in nutritional info???? Hi! There are 0 carbs per serving! I just love these. I also tried the blueberry danish. First low carb thing my husband has ever tried and he ate 2! He said I need to make them every Sunday morning for breakfast. Thank you. The recipes worked perfectly. I’m so glad you enjoyed them! Thanks for your feedback!